“Raise the Age:” Raises the age of criminal responsibility to 18 years of age and allows intervention and evidence-based treatment for non-violent youthful offenders; requires youthful offenders to be placed in specialized juvenile detention facilities instead of adult prisons; creates the Raise the Age Implementation Task Force; requires law enforcement to video-record the custodial interrogations of individuals accused of serious offenses; improves witness identification procedures. New Yorkers United for Justice released a new ad aimed at educating people on the need for discovery reform. The ad features Michael Morton, whose wrongful conviction helped spur Texas to change its discovery process to prevent prosecutors from withholding evidence. 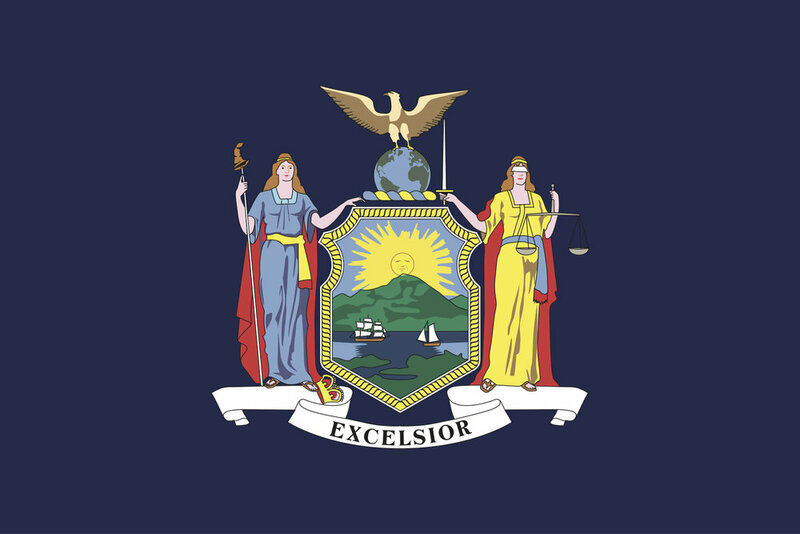 New York’s current law allows prosecutors to restrict access to information, including police reports, witness statements and grand jury testimony until just before a trial begins. Governor Cuomo’s budget proposal included language backing the expansion of pretrial file-sharing. At John Jay College’s Prisoner Reentry Institute (PRI), returning citizens can catch up on technological developments they may have missed while they were incarcerated. Students in Tech 101 learn to set up Google accounts and use Microsoft Office suite, get an overview of digital privacy issues, and see how employers use social media when making hiring decisions. Elena Sigman, PRI’s director of collaborative learning, credits partnerships between educational institutions, the justice system, affiliated nonprofits and the city for Tech 101’s success, and hopes it will lead to replicas in other cities and counties. John Jay College’s Misdemeanor Justice Project released a report this week on the implementation of the Criminal Justice Reform Act (CJRA), which created the presumption that certain low-level offenses would result in a civil, rather than criminal, summons. In 2016, the year the CJRA was passed, the majority of criminal summonses in New York City were for public urination, public drinking, littering, noise offense or parks rules offenses. In the six months following implementation 89% of summonses for those five offenses were civil, and the city saw a 94% decrease in warrants for CJRA-eligible offenses. In a partnership with Elucd, the city of New York is offering residents the chance to give direct feedback on satisfaction with police performance and overall safety. More than 200,000 unique respondents have filled out the 10-question surveys, which come through pop-up ads on smartphones and robocalls to landlines, and responses are broken down into 297 precinct sectors. Weekly CompStat meetings now include monthly “trust score” feedback and rankings. A report from the Rockefeller Institute of Government and the Center for Law and Policy Solutions examined drug treatment courts, using New York’s 3rd Judicial District as a case study. Despite the court’s initial success, they found lingering challenges with accessibility, cost, and stigma for participants. Their recommendations include an increase in data transparency, expanded access, and increased funding for substance abuse treatment, education, and prevention services. According to analysis by the Osborne Association, New York taxpayers spend up to $240,000 annually to keep an aging prisoner behind bars. Older prisoners have the lowest recidivism rate of any age cohort, with only 4.2% returning to prison on new commitments. The report, The High Costs of Low Risk, recommends expanded use of parole and compassionate release, better training to recognize age-related issues like hearing loss and cognitive decline, and tailored discharge plans to help older returning citizens with reentry. Bernalillo County, New Mexico, has approved a new policy that would allow jailed women to breast-feed a child, or use a breast pump and storage facility. A bill to allow women in all of New Mexico’s jails and prisons to breastfeed was passed by both chambers in 2017 but pocket-vetoed by Governor Susana Martinez. And in New York City, city leaders announced a pilot program to allow women at Rikers Island to spend time with their families outside of jail. The Children’s Museum of Manhattan will provide creative programming for incarcerated women, their children, and custodial caregivers when it is closed to the public. A new pilot program in New York prisons trains incarcerated people to act as emergency responders for overdose victims. State correctional and public health authorities educate incarcerated people on the proper use of naloxone, and on their rights as “Good Samaritans,” and equip them with naloxone kits upon release. In a collaboration between the Marshall Project and Vice, “Jordan,” who spent 11 months in the Onondaga County (NY) Justice Center awaiting trial on burglary charges, describes the experience of being a teenager in the Special Housing Unit, or solitary confinement. Researchers from UCLA found a strong correlation between admission to juvenile justice facilities for youth and serious physical and mental health issues in adulthood. In response to a Columbia University study on New York’s population of people jailed for parole violations, the New York Times Editorial Board called for the state to adopt a host of reforms which have shown promise in other states. Recommendations included graduated sanctions and rewards, judicial review of revocations for technical violations, and expansion of education, substance abuse treatment and housing support for parolees. In an effort to reduce failure-to-appear rates, New York’s criminal justice agencies partnered with the University of Chicago Crime Lab and Ideas42 to redesign the summons and use text messages to remind defendants of their court dates. The paperwork redesign reduced the rate of failures-to-appear by 13% and, when combined with text message reminders, led to a 36%.